Internal Revenue Code Section 1031 is one of my favorite code sections. That is saying something coming from a tax geek like myself. 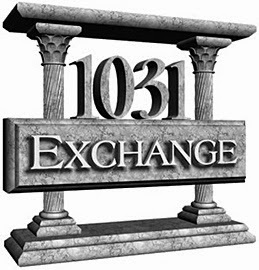 What is a 1031 exchange? Generally speaking, a 1031 exchange is a swap of one business or investment asset for another. If you follow the 1031 rules, you’ll either have no tax or limited tax due at the time of the exchange which allows your investment to grow tax deferred. The rules can get complicated so the following are some things you should know if you are considering an exchange. Exchanges must be of “like-kind” but the rules here are liberal. You can exchange an apartment building for raw land, or a ranch for a strip mall, for instance. You can even exchange one business for another. Some exchanges of personal property (like a painting) can qualify. Exchanges of corporate stock or partnership interests, however, do not qualify. Traditionally, an exchange involves a simultaneous swap of one property for another between two people. However, the chances that you will find someone with property you want who is willing to accept your property is quite small. For this very reason, exchanges can be delayed. You can sell one property, have an intermediary hold the proceeds, and then find replacement property. It is important that you do not touch the proceeds otherwise the 1031 exchange is voided and the transaction becomes taxable. Once the sale of your property has taken place and the money is with the intermediary, you have 45 days to identify replacement property in writing to the intermediary. The IRS says there are three acceptable methods you can use to identify the replacement properties. The vast majority of people use the method which allows them to identify up to three properties. The other two methods are more complicated but are useful in certain instances. Now that the replacement properties have been identified, you have 180 days from the sale of the original property to close on the new property. The new property must be more expensive than the old property for the entire transaction to be tax deferred. If the new property is less expensive, any remaining cash is taxed, generally as a capital gain. You must consider the debt involved as well. If you don’t receive cash back but your liability goes down on the replacement property, the reduction in debt will be treated as income just like cash. Suppose you had a mortgage of $400,000 on a property that you sell for $500,000 and you use the $100,000 in proceeds to purchase a $400,000 property with a $300,000 loan. You didn’t receive any cash but the $100,000 reduction in debt will be taxable. 1031 exchanges, if used correctly, can be a powerful way to grow your wealth. But, like many tax laws, the rules can get complicated. I suggest you consult a professional before attempting such a transaction.